The Master Blaster features an unusual shape that allows up to three riders to sit or lay comfortably: atop the same tube and behind one singular tow point, but with enough wiggle room for superior comfort. 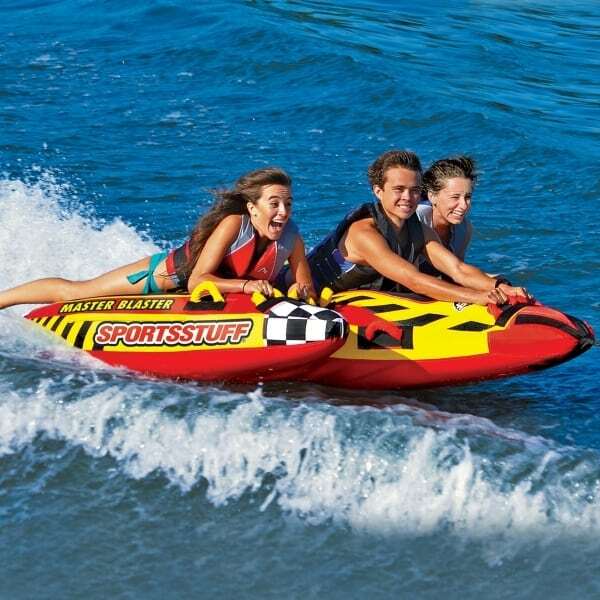 Ten comfortable tubular webbed handles with knuckle guards allow for the most inventive and exciting rides of your tubers’ lives! The Master Blaster comfortably seats up to three riders. It is towed with a patented aluminum quick connect tow point and rope. The top surface for laying is covered with a soft EVA topside paneling for extra long comfort. The inner bladder is a tough 30 gauge PVC bladder with denier nylon. This is one of the most durable materials available on the inner tube market and aims to insure longevity and peak performance, every time. 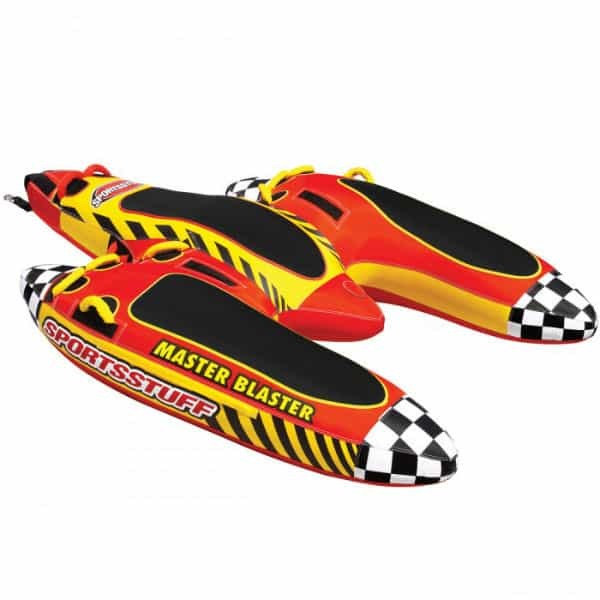 The Master Blaster may be quickly inflated and deflated for transport and perfect rides with the help of the Speed Safety valve.